The best places to retire in Florida are the towns that have active adult communities and lots of things to do. These places can be found across the state, from the coastlines to the inland. As a warm weather state, many seniors flock to Florida and choose to spend retirement in a beautiful vacation destination. 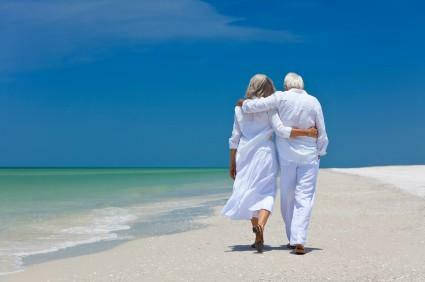 Living in Florida is a great way to stay healthy and young while enjoying all the amenities of retirement. With average temperatures in the 70s and 80s and miles of beaches, living in this destination is a dream come true for many seniors. Florida attracts retirees from across the United States, many of whom come to live there just for the winter months. Others choose to call Florida home year-round and relocate more permanently. This city is an inland location in the northern part of the state. As both a college town and a retirement hot spot, this city offers diverse popular and cultural events for seniors. You can get involved in the annual Gainsville Senior Games and get season tickets to the University of Florida football games. Oak Hammock Retirement Community is located at the University of Florida and offers a one-of-a-kind community experience for retirees. Holiday Retirement has apartments for seniors and an all-inclusive lifestyle. Another popular inland location for seniors is Ocala, which is located in central Florida. This city has many active lifestyle communities for seniors to choose from. In addition, Ocala is only a short distance from the Orlando airport, major medical facilities and Disney attractions; the natural beauty of Ocala is another plus, as the region features miles of rolling hills, farmland, and natural beauty. Summer Glen was named one of the top master-planned retirement communities. Top of the World Community is a senior community filled with things to do, including over 200 clubs, three golf courses, and comfortable living. The Falls of Ocala is an adult community with homes for adults over 55. If you're looking for a place near the water, Sarasota is one of the top choices. This city is in the southwestern part of the state next to the coastline. Living in Sarasota gives you access to boating, beach walking, and visits to local lighthouses. Plymouth Harbor is a community for older residents. Sarasota Bay Club is an independent retirement living community. Bay Village of Sarasota is a residency for older adults built on Christian principles. About 80 miles south of Sarasota is another top retirement community for seniors, Fort Myers. It boasts museums, historic sites, a farmers' market, a charming downtown, and lots of recreation options, including the Eastwood Golf Course and the opportunity to watch spring training for the Boston Red Sox. Heritage Cove is a residential community for 55+ adults that want to live in single homes, villas or condominiums. Pelican Preserve is a community with homes for older adults and a country club. Shell Point Retirement Community is a resort-like community with both independent living and options for assisted living. With so many retirement options for Florida seniors, there are numerous places to check out and discover for yourself. Other good locations for retirees to consider include Vero Beach, Venice, Port St. Lucie, and Fort Lauderdale.